Although they may be mutually comprehensible to each other, speakers of British and American English are able to recognize when it isn’t their version of the language being spoken. Despite the language similarities, brands expanding from the US to the UK are faced with huge challenges tailoring their brand identity to suit the needs of British audiences. For US brands expanding into the UK, it’s important to change elements of communication such as spelling, grammar and vocabulary. Other elements of tone and style will probably also need to change. Social news and entertainment content hub Buzzfeed finds only some of its US content works well with a UK audience. Heart warming stories designed to restore your faith in humanity work well in the States but go down poorly with a flint-hearted UK audience. Buzzfeed also cranks up the swearing for the UK audience. American and UK English marketing communications also tend to vary in tone. The approach taken by television advertisements is very different in the two markets. US advertising tends to rely on the hard sell, the product will be front and centre and it’s common to use aggressive techniques such as comparative ads where the brand funding the advertising campaign tests itself against its main competitor and declares itself the winner. UK advertising uses a softer approach, with the product introduced almost as an afterthought. There’s also a greater focus on humor in ads for UK audiences. Although UK and US English are mutually intelligible, it’s advisable to use the more familiar word choice for the local market. Most Brits understand words such as “trash can” (“bin” in UK English) so localization of terms such as these is more about making your audience relate to the content and feel it’s for them. A key element of communicating with your audience is to talk their language, so using less familiar words such as “soccer” won’t chime so well with your readership. It’s also valuable to prune references that will not be immediately familiar to the local audience. Whilst big events such as the Superbowl or the recent floods in South Carolina may permeate the debate in the US, these are not major issues in the UK. In fact, focusing on unfamiliar issues would miss opportunities to align with the zeitgeist in Britain, where other issues may be on the radar for local audiences. But this doesn’t mean that some news-jacking or agile marketing campaigns can’t be repurposed to some extent. 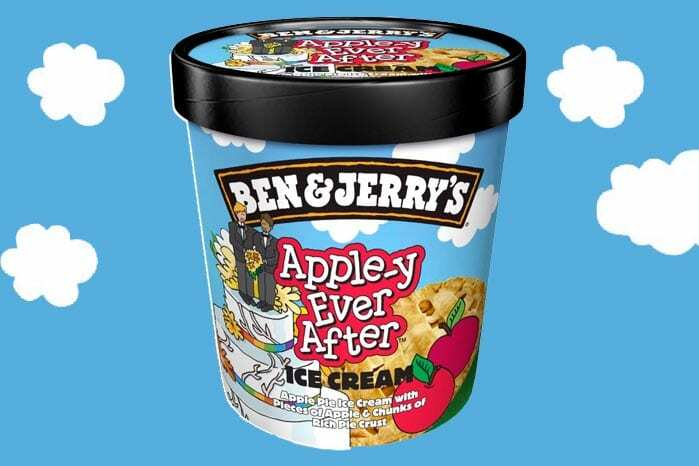 Ben and Jerry’s ice cream ran an agile marketing campaign in support of equal marriage when the issue was still being hotly debated in the UK. This echoed a campaign the brand had done a few years earlier in Vermont when equal marriage was legalized in the state. This example is a particularly bold move for a brand wanting to put itself on a particular side of the debate. Other overseas brands have aligned themselves with less controversial topical issues, such as when sports brand Nike encouraged people to jog to work during London tube strikes. Be wary of using automated translation tools to “translate” US to UK English. The quality of these automated services can vary. If you’re using machine translation services, they must at the very least be proofed carefully by a native speaker of the relevant version of the language before publication. When J.Crew entered the UK the audience was already fairly familiar with the US brand popularized by the likes of Michelle Obama. Some London shoppers were surprised to find the prices were twice as high as in the US stores. J.Crew enjoyed a higher brand awareness in the UK when it opened its first European flagship store in London, meaning it had more leeway (although they did receive some negative press associated with their pricing strategy). American Eagle, a US denim retailer that is less well known in the UK, took a different approach. It made more sense for this brand to price itself competitively for UK audiences, which are typically very price conscious. The brand also needed to take into consideration the shopping habits of the UK customer and what they were accustomed to in terms of being able to return items. The company was also advised that UK audiences were accustomed to very clean colors and fonts, and to seeing more bright colors than US sites usually used. There are also technical considerations for US brands entering the UK, including a greater number of payment options. To succeed in the UK, brands and retailers also need to be certain that they can optimize their websites and checkout processes to work well on mobile devices. UK brands heading across the pond are also faced with the need to localize. At present Brand Britain seems to be riding high in the States, and many UK brands choose to retain some of their essential British identify as a unique selling point. These include Boden, the popular catalog clothing brand that’s currently doing well in the US. Boden chooses to retain many British elements in the way it presents itself in the States, including using overcast UK-based photography in its marketing to US customers. But Boden combined this with transcreating their website so that sizes were comprehensible to the local audience. Although localizing may not mean changing your brand’s national identity, it’s important to meet the needs of your audience. More unexpectedly, a brand of chilli sauces made by Brits of Punjabi origin is being sold in the States using all the British clichés such as red telephone boxes. It’s a lot for customers to take in – and even the family owners of Mr Singh’s sauces aren’t sure if it’s the Anglo-Indian marketing approach that’s helped it sell in the US, or just the fact it’s a good product that the market was ready for. It isn’t always appropriate for all brands to retain their national identity as much as Mr Singh and Boden. Some sectors lend themselves to this practice particularly well. In the States, Britain has positive associations with heritage and craftsmanship values, as well as a certain eccentric chic, that can benefit some sectors more than others. This includes fashion, particularly luxury and customized tailoring, and other sectors including entertainment. It isn’t yet clear whether this also applies to foodstuffs but brands such as Mr Singh are experimenting in this area at present.